The federal Health Resources and Services Administration will provide an estimated $7.8 million through its “Early Childhood Comprehensive Systems: Building Health Through Integration” grant program. Eligible applicants include State governments, County governments, City or township governments and Nonprofits. 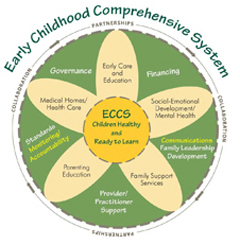 Increase access to or improve the quality of early childhood programs. Applications are due April 26, 2013. More information is available here. Contact us for a consultation about this grant opportunity or other fund development needs.